For the past seven years, Viola Branham has enjoyed the luxury of traveling the world as an independent woman, and confining her awkward past to a distant, if painful, memory. But now she has been summoned home to England over a stipulation in the will of her late uncle, the Earl of Ellsworth, one that decrees she lose everything unless she reconciles with the man who broke her heart and ruined her life—her husband. Don’t miss the sparkling wit of the Lady Travelers Society series by #1 New York Times bestselling author Victoria Alexander. 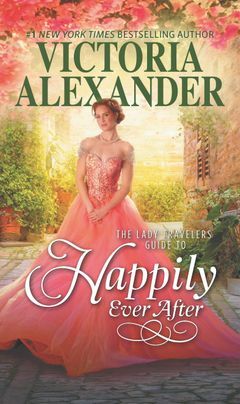 The Lady Travelers Guide to Happily Ever After is coming soon from HQN Books.